Your org’s data quality relies on your data stewardship efforts. Managing duplicate records, fixing data errors, and entering missing data helps you improve the quality of data. 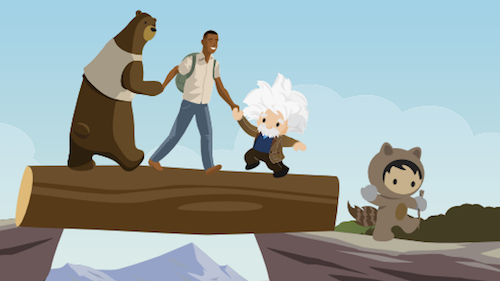 Data quality is more important than ever as Salesforce works toward providing a 360-degree view of your team’s customers by connecting your Salesforce products with an easy-to-use user interface. Plus, data quality is the foundation for giving the teams you support a meaningful, unified view of their customers. 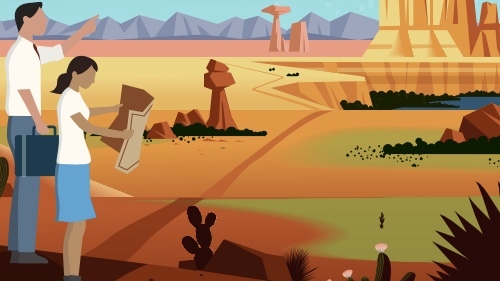 Salesforce is building a 360-degree view across multiple domains and industries so your company knows exactly how to serve its customers in multiple complementary ways. Today, most experiences are delivered in silos. For example: commerce, service, marketing, and social; while each might be well done in their respective silos, they’re not always connected. The sources of service, marketing, commerce, and social data, while also siloed, provide lots of great data on their own. Bringing it all together, however, is the challenge. That’s where data quality comes in, and we have some experts to help with that. At Dreamforce ’18, our friends from Traction on Demand, an independent Salesforce consulting and application development firm, presented a high-level view of the increasingly important topic of data quality. With accurate data, you can better target your customers and analyze your results without second-guessing. Consider artificial intelligence (AI). AI is dumb with bad data. Without having quality data, AI features such as Einstein predict the wrong things. The phrase “garbage in, garbage out” is especially relevant today with the powerful AI tools that admins have at their fingertips. Salesforce found that CRM systems contain about 15% duplicates for sales and service records. Additionally, roughly 20% of records contain useless or dead data that nobody has taken the time to remove. A good data stewardship process addresses the problems that contribute to these statistics and builds confidence among your sales and service teams. Although keeping data clean costs time and money, the amount you spend to prevent bad data from entering your system is a bargain compared to the alternative of cleaning it up later—or worse, doing nothing. Data governance defines the rules and practices around how to keep data clean. Think of it as the blueprint for ensuring your data’s usability, quality, and compliance with the policies that matter to your company. It’s important to note that data governance isn’t a binder of rules that you stash away and forget about. It’s an evolving process and a living document similar to many other practices admins facilitate. checks and archiving inactive records. Stewardship also involves policing the rules and making sure that everyone plays fairly. Keep in mind that data stewardship isn’t a small group of workers trying to wrangle data quality. It’s everyone’s responsibility. Taking information from your data governance, make your priorities clear to everyone in your organization. Cleaning data at the point of entry prevents duplicates from the get-go. Empowering users assigns everyone the ownership of data quality. Stewards guard and keep the data up-to-date. Housekeeping requires regular archiving and duplicate-checking. Reporting on your results and getting key performance indicators helps you visualize the state of your data. The more you measure and make the results visible, the more your stewards will address problems with the data. An effective data stewardship practice doesn’t fall on one person’s shoulders. It’s important to get buy-in from everyone who works with your customers’ data. This is the third in a series of blog posts about Salesforce Customer 360, dating back to Dreamforce ‘18. Read “What Is Salesforce Customer 360?” and “Delivering Connected Customer Experiences With Salesforce Customer 360” for complete details.